Situated in private gardens adjacent to a spectacular beach, our apartments are the perfect blend of ECONOMY and LUXURY. 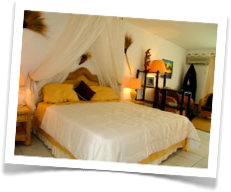 Ideal for a couple's romantic getaway, laze on the beach all day (a one minute stroll away), or swim in the HUGE pool, or play tennis, or just snuggle in our exotic king sized bed. Check out what past guests say in the guestbook. These independent reviews are the best way to learn more about the apartments and complex. For STAR WARS fans there is the added bonus... the owner built creatures for the Classic Trilogy and every booking includes a FREE autographed photo of him building Yoda for THE EMPIRE STRIKES BACK! 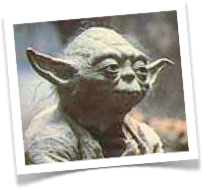 (Search Google for "Nick, Yoda, St Martin" and see what comes up. Nick made 50 movies). The property was formerly a hotel (Hotel Mont Vernon) before being sold off as private apartments. We have completely renovated and upgraded our apartments so everything is new and finished with Hollywood style. Because we provide high quality for low cost, we are heavily booked for popular months. But if the dates you want are not available, you can still email for other options. ADJOINING APARTMENT: Two of our apartments have a communicating door and can open up to accommodate larger groups of family or friends. The grounds are patrolled by private security 24/7. 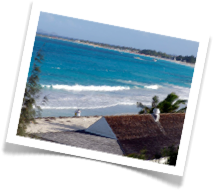 A stroll down the beach are shops and restaurants (half a mile) or we offer an economic hire car so you can explore the island. A sofa bed is available in one apartment for a child or third person. Read details about the apartments and complex here.